"Muffy and Binky are advancing on Paris." The Americanization of the Rue St.-Honoré from the New York Times explores how the French are embracing our style. Anyone else looking forward to March Madness? Selection Sunday is almost upon us and I can't wait to fill out my bracket. I'm from Connecticut... so you know who I will be rooting for tonight in the Big East semifinals. Go Huskies! Want to get into the game? Check out The Girl's Guide to March Madness from Marie Claire for college hoops 101. Awesome giveaways from some of my favorite reads - good luck! 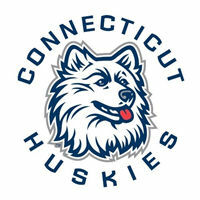 UConn! Huskies! Can't wait for the game, yesterday was awesome! 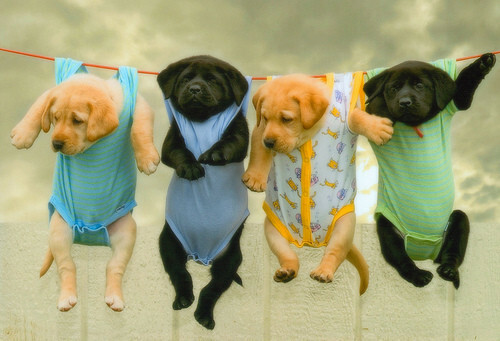 I LOVE that photo, such cute puppies!!!! Have a great weekend! oh my gosh that picture is SOO cute! love it :) hope you had a great weekend!